Are you crazy about all things mechanical? Happy to present you Mechanican, a social network for the enthusiasts, professionals, and business for all things mechanical. This is a place for those who love to build and repair machines. You can register to showcase your passion for anything and everything that has an engine. 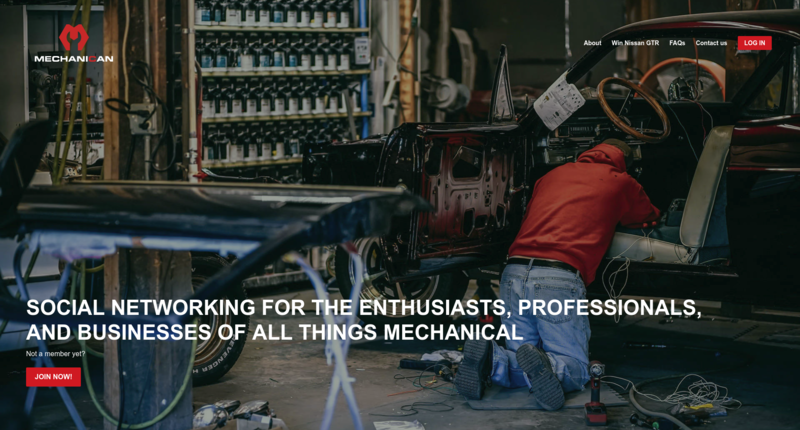 So whether you are an enthusiast excited about your latest machine or you work on the vehicles professionally, you can join the network for free and become a part of the large community. We want to promote the incredible cars, trucks, suv’s, motorcycles, tractors, boats and anything else people around the world possess with an engine. We also want to promote the incredible talents and skills of the people who repair these vehicles and work hard every day to ensure we can travel anywhere we want to. The businesses associated with these industries can also join the community and contribute to sharing knowledge and professional networking. Mechanican social network now has over 75k members that are coming from over 50 different countries. Beside the common functionalities of the social network, such as creating the personal profile page, the option to follow interested people or projects and to be followed, the direct communication with followers, the news feed feature where you can see the latest content, what sets the Mechanican network apart are these two features that are created specifically for the target users: Garage and Projects. What is a Garage section? This is a section where you get to show what you have in your garage. You can create an individual page for anything you own, the only condition is that it has an engine. Everything related to the machine you own can be shared with your followers, photographs, specifications, and videos. What is a Project section? Think about the Projects section as a learning hub. Any kind of project you have or working on, you can post in the Projects. 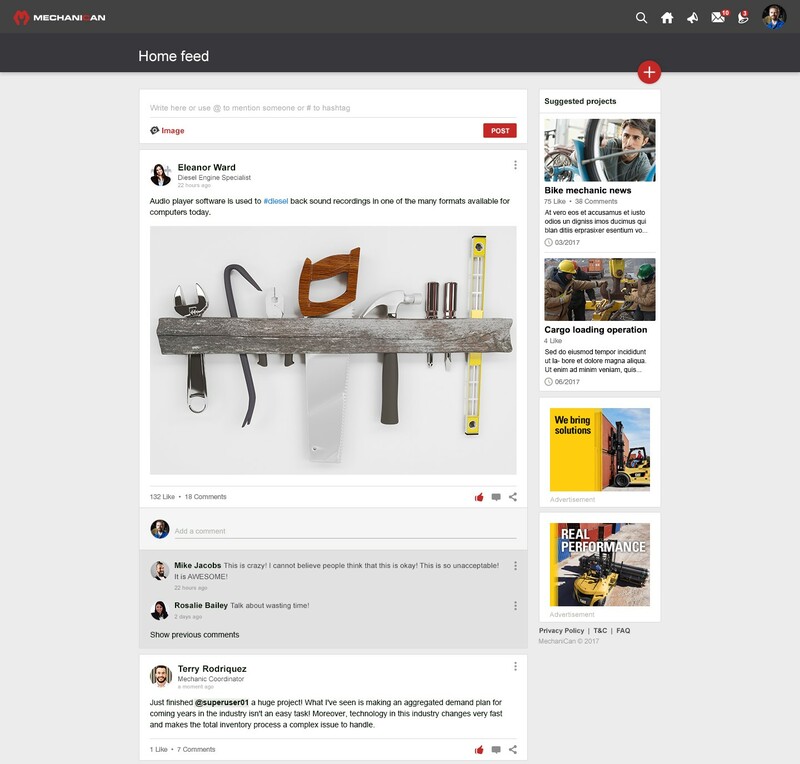 The project section enables you to have your own personal blog with blog-like posts. Users can search the projects with hashtags and help others who are searching for the solution with tips and tricks. With photographs and videos, you can go into every detail about the project you are working on. Groups help you to connect with other like-minded people worldwide who are passionate about one particular brand of car, motorcycle, trucks or anything else with an engine. You can join the existing groups or create your own group and network with other enthusiasts and engine lovers. We built the platform in Symfony, as this is our first choice when it comes to web development. We are working on developing iOS and Android apps, so expect more great news soon!